Bedliners and Tailgate liners (ordered as individual items) protect and preserve your truck bed! The Weatherteach TechLiner armors trucks such as Ford F Series, Chevrolet Silverado, Colarado, Dodge Ram and Durango against scratches, dents, paint damage and rust by seamlessly lining the truck bed and tailgate. The liners “soft touch” material also helps prevent cargo from shifting yet provides ease to loading/unloading. Made from a 100% recyclable and odorless thermoplastic elastomer, TechLiner is durable, flexible and UV resistant. 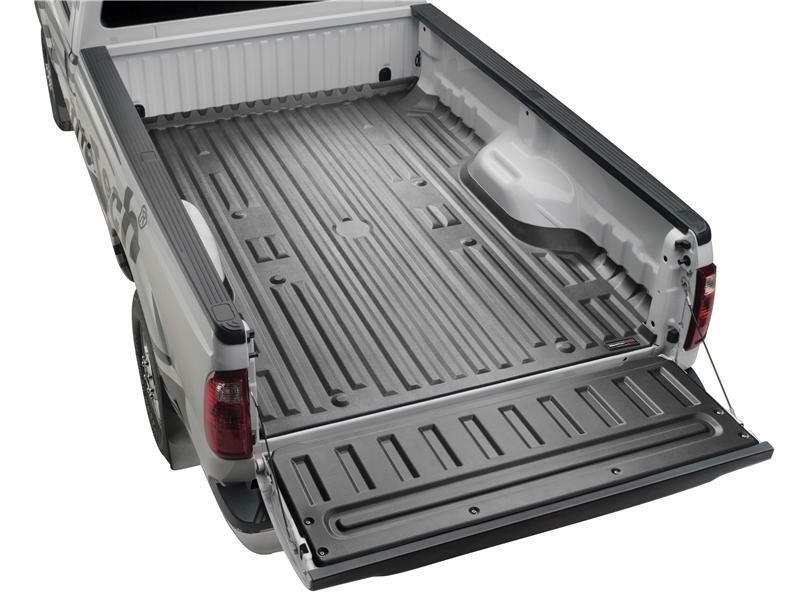 Custom-fit for each application, the liner securely fits the exact contours of the truck bed and tailgate. Will not crack, break or warp in even extreme temperatures. For those that insist on the protection that a high-sided rigid liner offers, the TechLiner can be placed underneath the rigid liner to provide additional protection against paint damage. It is also ideal for users of truck caps, and hunters that carry pets. Installation takes only minutes, without the need for drilling or use of chemical applications. TechLiner Bed Liners are secured to the truck bed with the use of Velcro discs, while Tailgate Liners are attached to the tailgate using product-specific fastening devices that allow for an effortless fit and the ability to remove the liner if necessary. WeatherTech TechLiner is guaranteed against faulty materials and workmanship for a period of three years from the date of purchase. Exclusions to this warranty are wear due to severe abrasive conditions and chemical contamination, such as spilled gasoline, bleach, etc.